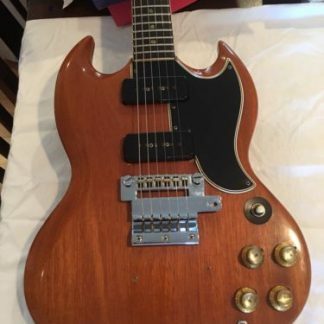 This guitar is a faded cherry to walnut brown which was common for these models back in the mid 1960’s. You can see the back of the neck is a more cherry color as well as the bottom edge of the guitar is cherry. The rest looks like lighter walnut. The original Tuners were replaced. Someone screwed a chrome airline guitar bridge cover below bridge but it wasn’t original so it was removed, hence the screw holes. Great shape and sounds great. 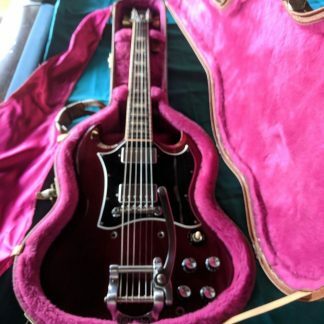 P-90 pickups. 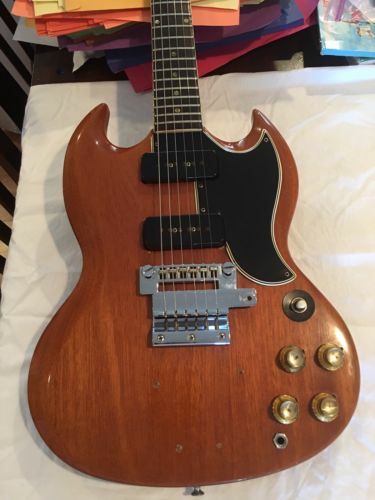 This is a real 1964 SG not a reissue. If you can’t make out the serial # ask me for it . Original hard shell case. 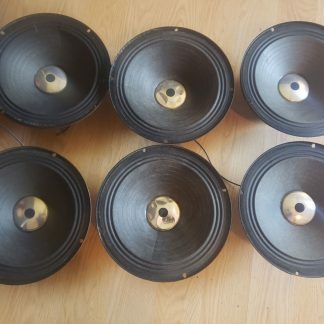 Has been set up and intonation is great.Vintage guitar price guides have value at $4500 minus 30% for faded finish around $3150. This one is priced to sell well below that. It’s very clean and good condition for its age.